Try to keep to your recommended treatment frequency. This can help to get you better in the shortest period of time. 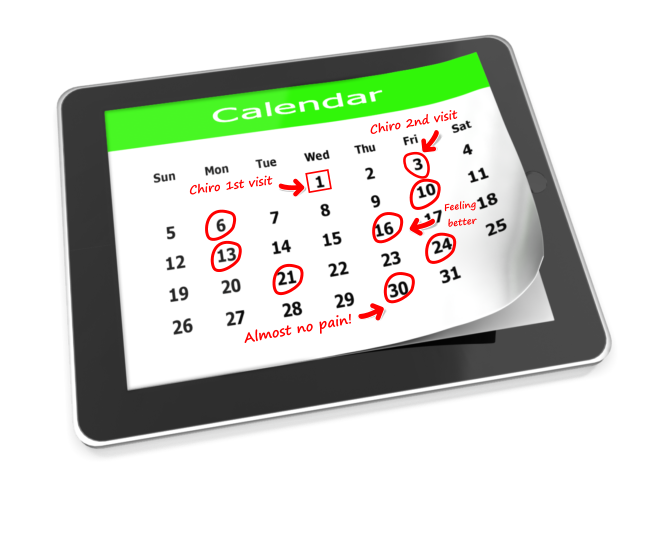 Try to avoid moving your appointments about as this can really disrupt your progress. Simply, each visit builds on the previous treatment, the time interval between treatments is very important to keep the momentum of improvement going ***( see below). Take on board any advice we give you for avoiding or modifying certain activities, sports or postures. Quite a number of patients think that their pain is simply/only due to a vertebra ‘out’ of place and all we have to do is simply put it ‘back’ to return them to a pain free state – unfortunately this is rarely the case or indeed, as simple as that. If you indeed have a ‘locked/stiff’ vertebra this is usually only one part of a number of factors that are the cause your pain. Take time to understand the causes of your symptoms. ***We appreciate that finances, time, work and family constraints often mean that you cannot always commit to this. Don’t worry, we of course can work with what you are able to do but results are likely to take longer and may need more visits to achieve the same results. Why are these above points so important? You do not progress as fast as YOU THINK YOU OUGHT TO HAVE DONE. If you think you are getting better too slowly ASK! Don’t drop out of treatment based on pre conceived notions of what is wrong, and how long YOU THINK it should take to get right. Follow our advice, listen to us and ask questions – that’s what we are there for! You do not get better at all when you should have done. This is of course what all of us want to avoid! Not getting better can leave you feeling upset as you have paid for our services with no positive result. Nobody wants this situation and we simply want a fair chance to get you better. We are in essence in a partnership so let’s both make it really work. Our aim is to get you out of pain as quickly as possible – this is normally what you want too! With this in mind, clinically we find that when treatments are grouped closer together, we see faster results. If it’s too long between treatments you are more likely to slip back or not make progress as you should as each improvement very much depends on building on the treatments that have gone before, rather than simply keeping pace with the daily stresses your lifestyle brings. Each person and their problem is unique so will we recommend a treatment schedule based on your specific needs. Many patients feel an improvement in their pains immediately whilst others start to feel different after several visits. The important thing is to remember you are in expert hands (no pun intended!). It’s quite normal for some people to feel some soreness. Don’t worry about this as it is perfectly normal when your body is getting used to the changes it has been asked to make – the soreness should subside within 1-2 days of treatment. Of course, if you are concerned contact us – we would rather hear from you than have you worry. Equally if you think of something you wish you’d asked during your visit, just pick up the phone and call. Alternatively you can email us if this is more convenient. We will aim to reply within one working day. Be patient, have a realistic expectation of what we can do to help and in what time frame. How quick you progress also depends on whether you are a Type ‘A’ or Type ‘B’ patient. Your pains or symptoms have not been there for very long. This can be from a day or so to a few weeks. Often this can be the first episode of pain for you and you have consulted someone like us straight away, or perhaps it has been years since you have had a problem here or elsewhere in your body. This type of problem generally does not have many tissue changes – muscle imbalances, permanent damage or Osteoarthritis. It is also less likely to need much (if any) corrective care. Your pain may not have been with you for very long and so you may think it shouldn’t take much time to go. For some patients this is quite true but the reality for some is that pain is the last thing to occur after numerous physical changes in your body. Your body can be very good at adapting to keep you out of pain for as long as possible. 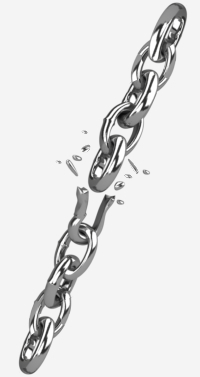 Very much like a link of a chain breaking, the pain you feel is often akin to a link rusting over time and then ‘suddenly’ giving way. In order to help achieve long-term stability our approach is to address as many changes as possible that have finally lead to your pain. For this reason we recommend a programme of care that is tailor-made to you, taking into consideration as many factors as possible. 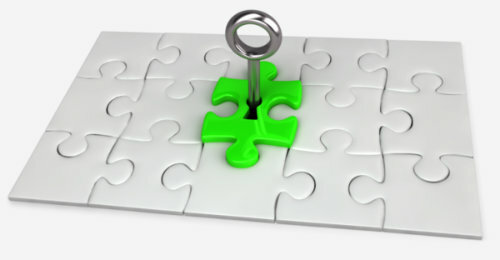 In so doing, we try to address as many underlying cause(s) of your pain as are within our scope. By altering/correcting as many of these causes as we can we aim to help get you better as quick as we can and hopefully try to prevent a relapse. Pains that have been there for longer than a few weeks or that have come and gone over the previous weeks, months or years and have finally got bad enough to affect your life e.g. sleeping, sitting, working or playing with your children. You are fed up with struggling against your pain and restricted activities and now you have decided that it is the time to do something about it. This type of problem generally does have more tissue changes – muscle imbalances, permanent damage or Osteoarthritis. It is also more likely to need some degree of corrective care and elective check-up care to help maintain your improvements.